You probably average a handful of really good finds at every dumpster you visit, maybe more. More dumpsters means more finds but it doesn’t have to mean more time. If you want to maximize your dumpster diving time, plan your trip in advance. It may seem easier to just go for a drive and see what you find, but this laid back approach leaves a lot to luck and chance. Instead, sit down and make some quick notes before you head out the door. Start by making a list of all the dumpsters you would like to visit. Include dumpsters where you’ve been successful before then add on a few new ones you’d like to try out. We’ve talked about keeping a dumpster diving journal before. If you took our advice, now is a great time to pull that out. 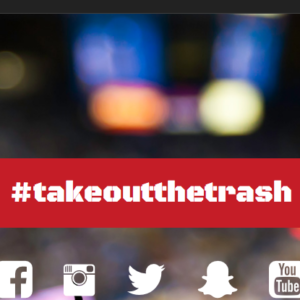 Go back through your list and rate each dumpster. To do this, start by deciding on your criteria. Do you prefer dumpsters with certain types of reusable items? Do you prefer dumpsters with items you can easily resell? Do certain areas have multiple dumpsters side by side? Once you have defined what makes a dumpster good, rate each stop on your list. You can use a star system or a number ranking, whichever works best for you. 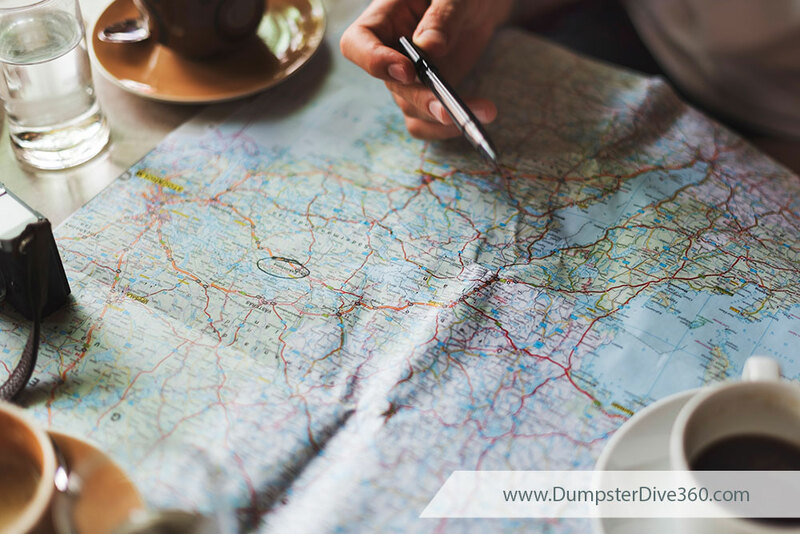 Start marking a map with each dumpster on your list. Keep track of which dumpsters are best, which ones you have never tried before and everything in between. Color coding your stops based on their ranking can help keep things straight. Once all your dumpster are plotted on the map, start looking for any obvious routes. Is there a nice loop that allows you to hit the best dumpsters before circling back home, hitting your B-list dumpsters along the way? If you are lucky, there may be a few obvious and easy to follow routes that connect all the best dumpster on your list. If you don’t see a great route, pick a few of the best dumpsters and connect the dots. See if you can stop at two or three of your best dumpsters with pit stops at new ones or lower ranking ones along the way. Alternatively, try to find any clusters of exceptional dumpsters. This way you can minimize your drive time by sticking to these denser areas. Share Your Haul! Visit DumpsterDive360.com to tell us what you find and share your success stories.